Guess who is back and fighting fit again? 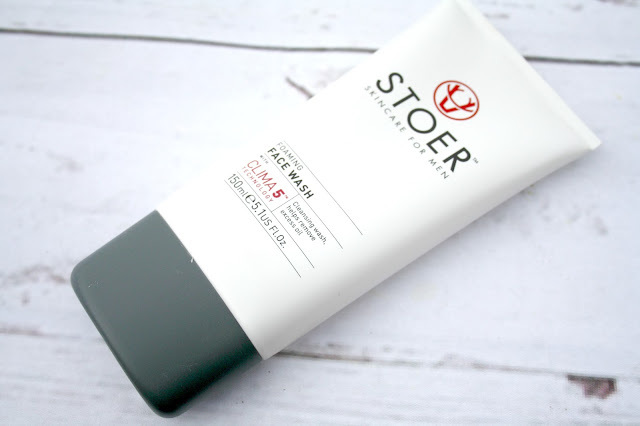 Yep, that'll be me and what better way to start the new coming of Stephen than a set of skincare beauties that helped mask how ill I actually have been looking - that'll be the fairly new range from Stoer Skincare for Men. Described as being the most technologically advanced male skincare range you can pick it up online or in store from Harvey Nichols. The brand was a new one on me completely and a few months ago I leapt at the chance to really put the entire range to the test. Before rubbing myself in something so new I did a touch of research. 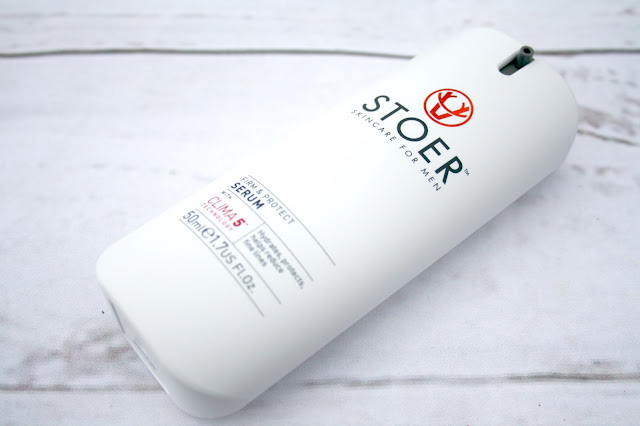 So who are Stoer? The brainchild of Scottish skincare expert Marianne Morrison, she spent over 3 years working with experts to develop and refine the brand and travelled across the globe to source the 5 key ingredients that create this Clima5 formulation. Those actives have been individually sources from the extreme climates of Mexico, Japan, Scotland, West Africa and the Alps and together, they help to firm, hydrate and protect the skin from pollution and other environmental aggressors. Peat Moss from Scotland - Peat Moss helps to shield and rehydrate. Sourced from moss which grows in Scotland and is supported by strong moisturisation data, it retains natural moisture levels within the skin, naturally plumping and evening skin tone. Alpine Plant from Italy - Helps to improve elasticity and firmness. Sourced from the Alps, this plant survived the ice age. Wakame from Japan - Extracted from Japanese seaweed, Wakame supports the production of collagen and helps to protects against pollution as well as increasing oxygen levels within the skin. Barbary Fig from Mexico - Derived from Cacti, the Barbary fig is exceptionally soothing, firming and very hydrating. 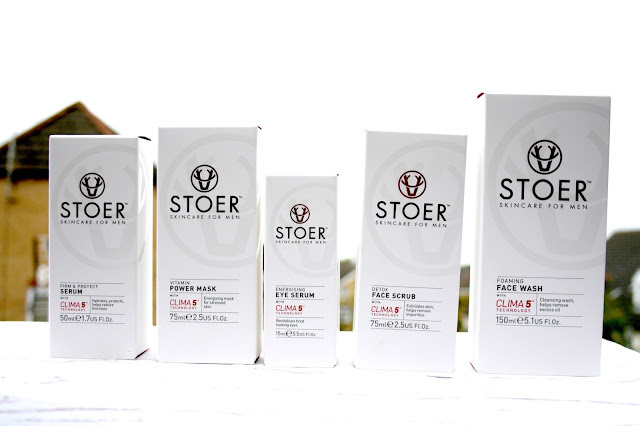 The Stoer Skincare for Men collection comprises of five products which include a Foaming Face Wash, Detox Face Scrub, Firm and Protect Moisturising Serum, an Energising Eye Serum and a Vitamin Power Mask. What drew me to the brand was the terminology 'Cosmetic Drone' which is the description given to the cutting edge technology which essentially helps to deliver the actives into a deeper layer of skin. For around two months I've been using this on and off as my health has fluctuated but the last two weeks have seen them take a real pounding. Starting with the Foaming Face Wash which is a Sulfate-free formula designed to rid skin of grease, grime and pore-clogging pollutants. On the skin it is really creamy and can be used in place of a shaving gel, if that should be your preference. I don't personally, my shaving routine is not being altered! What I like about the face wash is that it doesn't leave my skin feeling taut and dry after using and it lathers up with little effort. The Detox Face Scrub features a trio of mineral, volcanic and natural exfoliants which work to remove dead skin cells and unblock pores. I was expecting this to be a really abrasive scrub, but the wife owns some which are more lethal than this. Massaging it onto damp skin in circular motions, you can, if you press hard enough, feel the particles working on the skin and afterwards, again there is no dryness feeling. I have been using this scrub once a week and am a huge fan. A 75ml tube retails for £27. I am a bit of a face mask fan and it is a product I perhaps haven't used as much as I should have done. The Vitamin Power Mask is packed with antioxidant vitamins A, C & E, anti-inflammatory Pro Vitamin B5 and it also features the unique Clima5 technology which works to bolster the skin’s natural defences. To use, you need to set aside around 12 minutes of your time and you liberally apply a thick layer to the face and neck, after cleansing and then simply remove with warm water. There is an additional usage to this mask if you suffer from razor burn, which I find quite clever and that involves applying a thin layer of the mask to the affected area, massage as much of it in as you can and then leave it on your skin overnight as a treatment and wash off the following morning. Not something I have yet tried, but useful to know! A 75ml tube of the mask retails for £32. 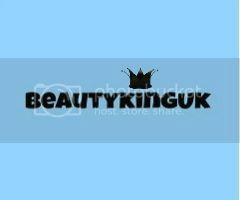 The use of serums is something that is new to me and not a product that I have used a lot. The wife has one or two within her morning and evening routine and constantly tells me how good they are. So with thanks to Stoer I now have two different ones to use. The Firm and Protect Serum is described as being a matte finish facial serum and it is said to help minimise fine lines. 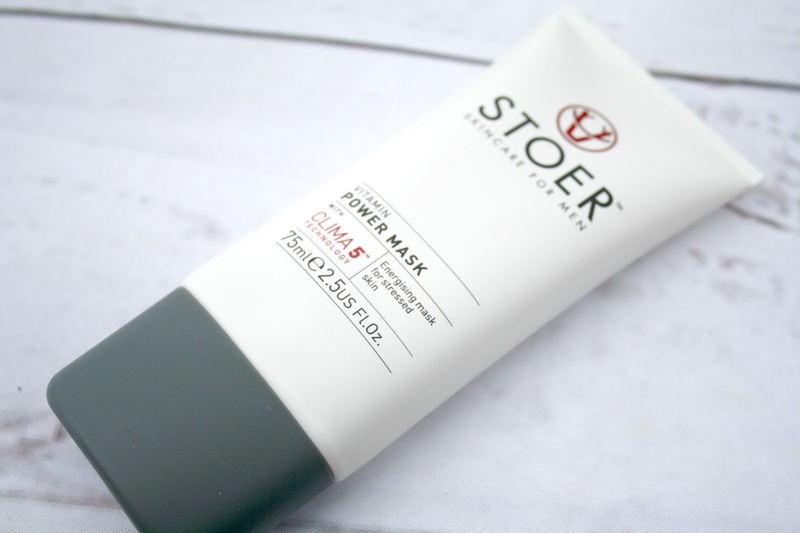 What I have found is that it is incredibly hydrating, more so than any moistusing cream that I have used and I was surprised at how little I need to use to cover my entire face and neck - just 1-2 pumps is more than enough and it can be uses both morning and evening. 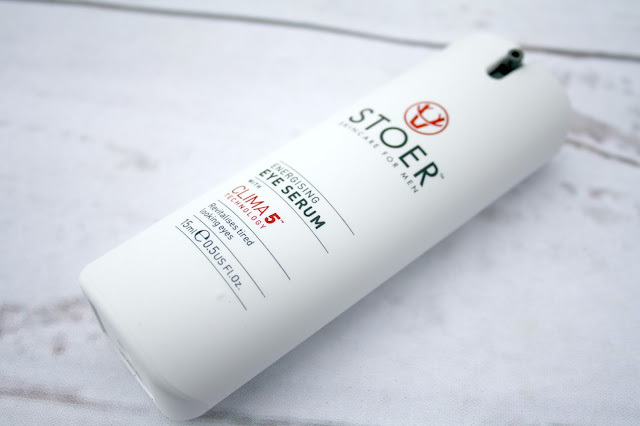 I like this serum is lightweight on the skin and doesn't feel at all slimy. 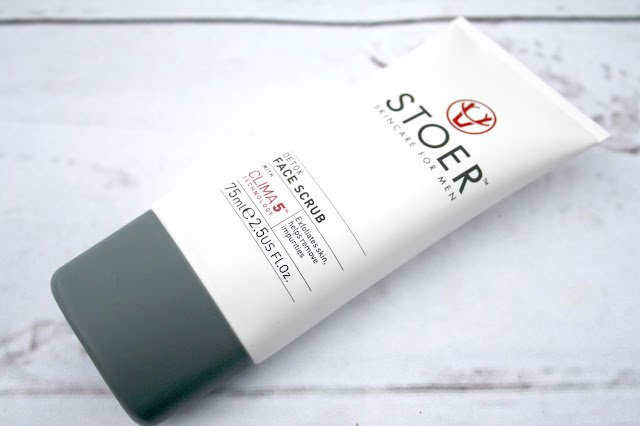 As it gives a matte finish, I am reliably informed it doesn't make my skin look shiny or greasy, instead it is quite the opposite and having used it for a fairly long period of time, my skin does feel a lot more hydrated and smooth to the touch. Priced at £40 for 50ml. Finally we have the Energising Eye Serum which has been formulated specially for the delicate skin around the eyes and featuring STOER’s unique Clima5 Technology. This serum is really lightweight on the under-eye area and again, it can be used both morning and evening. This is the product I am hoping to see a lot of results from, in just two weeks the dark circles and bags under my eyes have decreased, the skin feels tighter around the eye and it's obvious to me as a lay person that this part of my face is hydrated to the max. Priced at £32 for 25ml. What I am really enjoying about this range is the effect it is having on my skin - softer, smoother and far more radiant and that for me is a massive result. With a pleasant aroma, distinct lack of greasiness in the serums and noticeable positive results this is a great range and one I'll probably cry about when it all runs out! In recent years I have taken, mainly through curiosity, to cleansing, using a mask and adding a moisturising cream to my skin. No longer is it 'a thing' that men don't talk about or mention. In fact I am quite open about using skincare products on my skin, especially as I live in London which does have a cause and effect with the high levels of pollution, something we are all now becoming much more aware of. So go on, take the plunge. If you want a skincare range that is designed to make you look the best you can be then look no further. Very refreshing reading about male products. I also like to try and make myself a little more presentable. It's a new one on me too as I sometimes look for these sort of products for hubby when I go shopping. It sounds like you liked the products so I might get some for my husband to try, thanks for that. What a great selection and review, I'm always encouraging my partner to keep on top of his skincare. Peat moss... sounds interesting! Do you know if these products are sold in the United States? I need to check this out for my husband. I've not heard of this brand before. My brother in law loves this type of stuff.